Elgin textile artist Laura Wasilowski presented "Where Did I Go Wrong: Confessions of a Serial Quilter” Wednesday, Nov. 8, at the McHenry County Historical Society Museum, 6422 Main St.
Wasilowski earned a degree in costuming from the College of St. Benedict in St. Joseph, Minn. and later a master's degree in fiber from Northern Illinois University in DeKalb. She has since written three books, taught numerous workshops and opened Artfabric, Inc., where she sells hand-dyed fabrics and threads, patterns and fusing books. 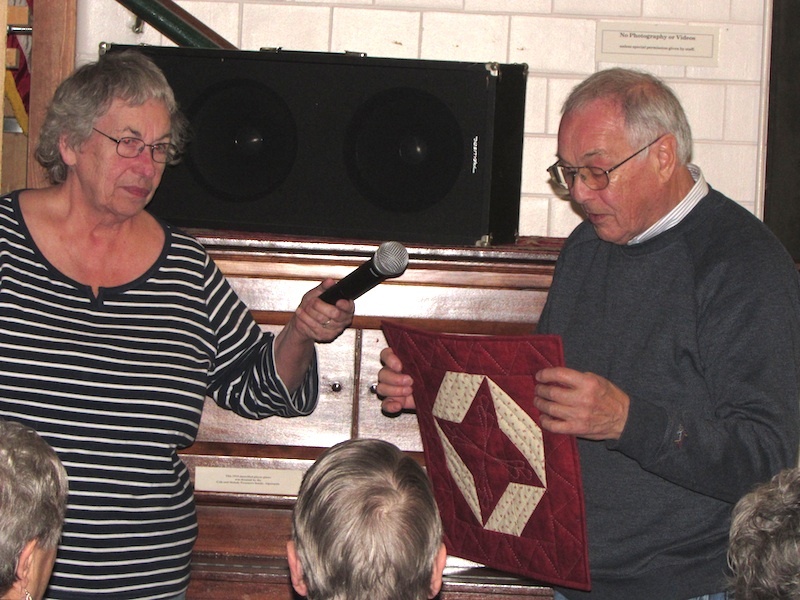 Explore the artist’s quirky mind with this lecture about quilt making in a series. Discover what drives a person to create multiple quilts about a blue chair, garden implements, or unsung kitchen appliances. All is revealed in this exposé! 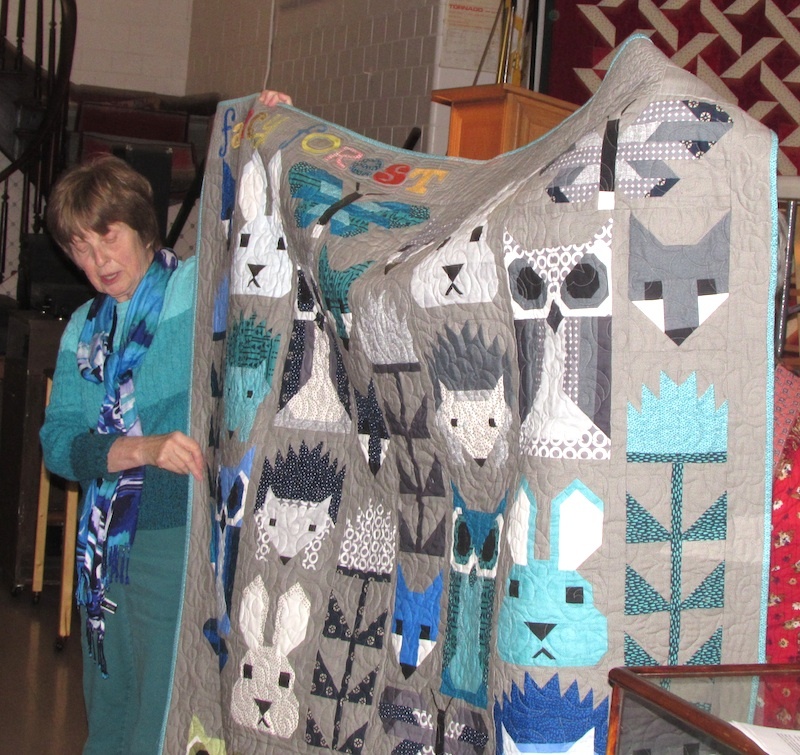 After the lecture, which includes dramatic renditions from Songs of the Fuser, Laura will display her small quilts. A native of Colorado, Laura attended college in Minnesota following her family’s move there. She earned a degree in costuming from the College of St. Benedict in St. Joseph, but quickly learned that the pay and hours inherent in a theatrical costume shop were not all that enticing. So, she set about reinventing herself. A seamstress at an early age, Laura added hand-dying fabric and thread to her repertoire. 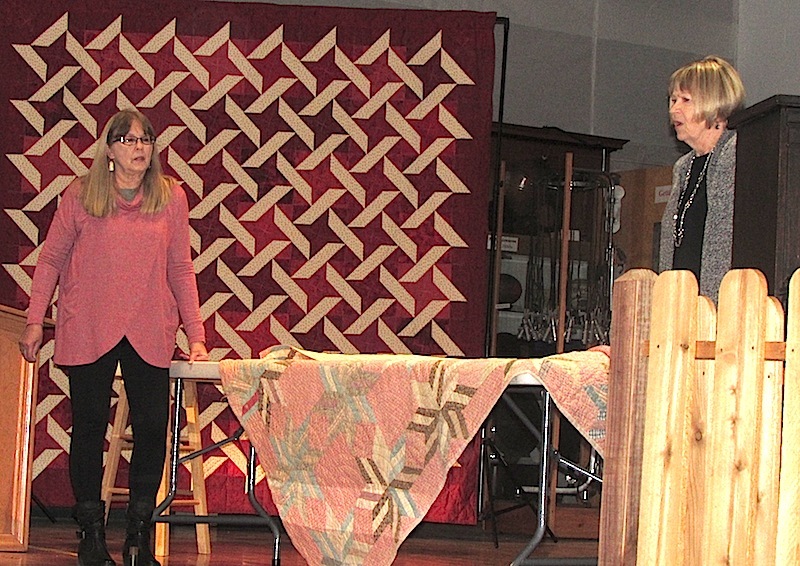 She also started her own business, Artfabrik, and became an expert on fused quilting. 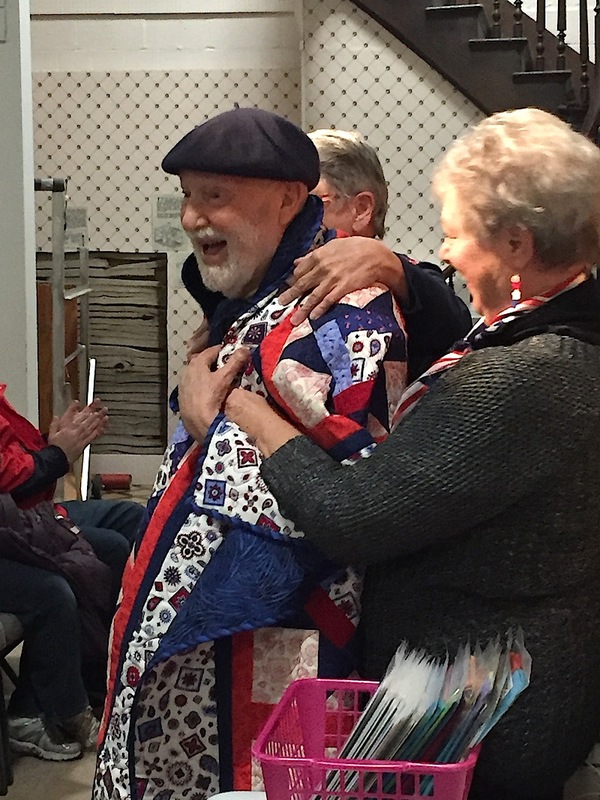 An exhibit of colorful, geometric Amish quilts at the former Terra folk art museum in Chicago, made a powerful impression on her. Suddenly rather than simply making clothing out of fabric, she could create art.. And quilting was a natural outgrowth of that epiphany. 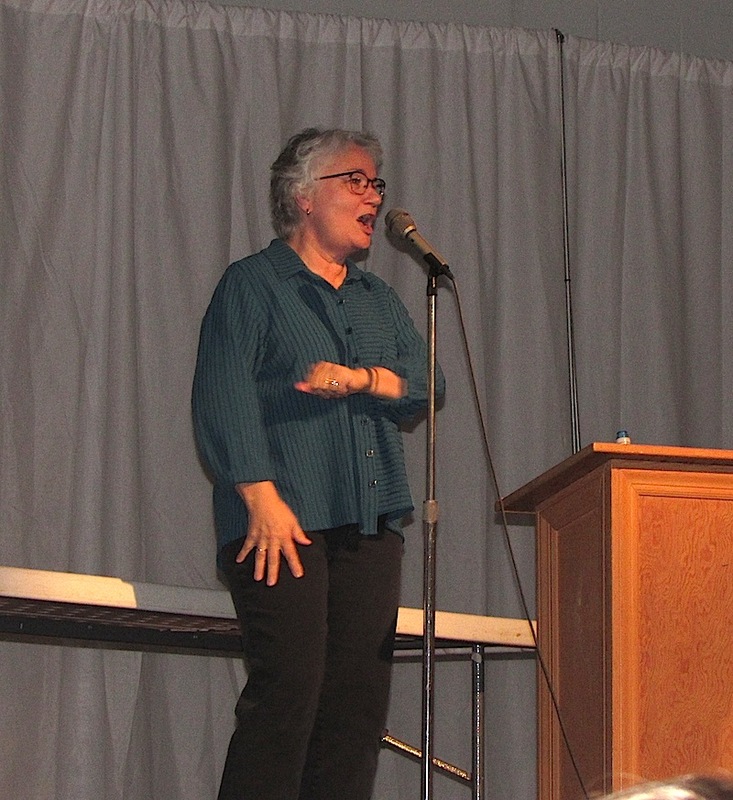 Today, not only has she graduated to the ranks of a “serial quilter,” Laura has written three books. 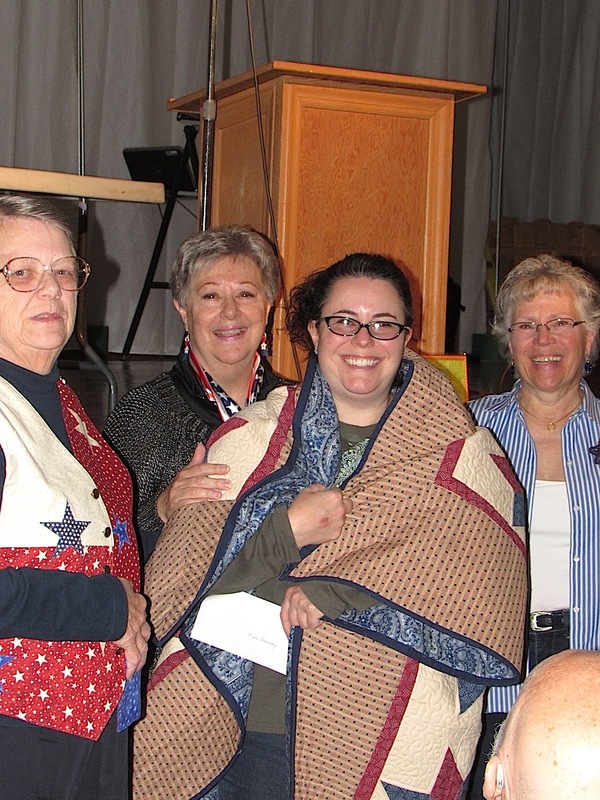 She credits her success to the help and advice of many fellow quilters, and a passion to learn. 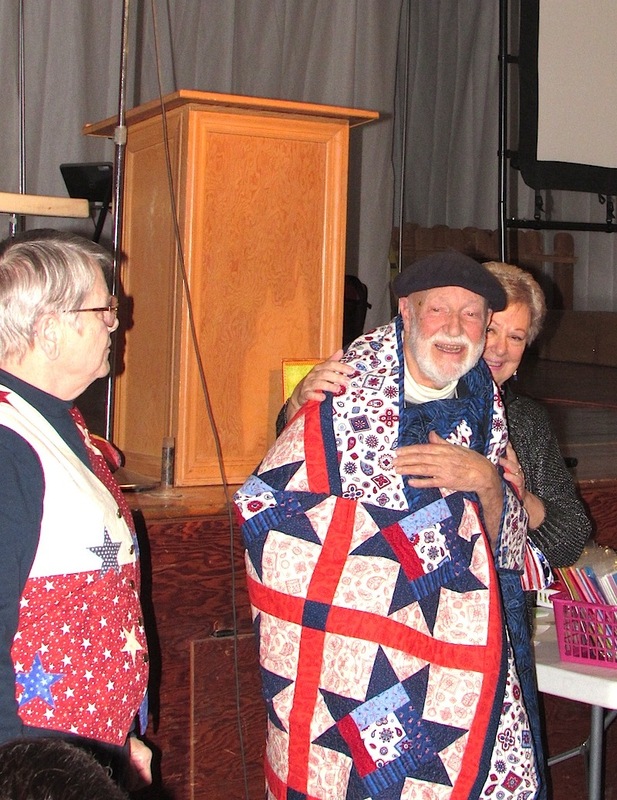 The Gazebo Valor Quilters, a group of about 40 women from the northwest suburbs also presented four quilts. 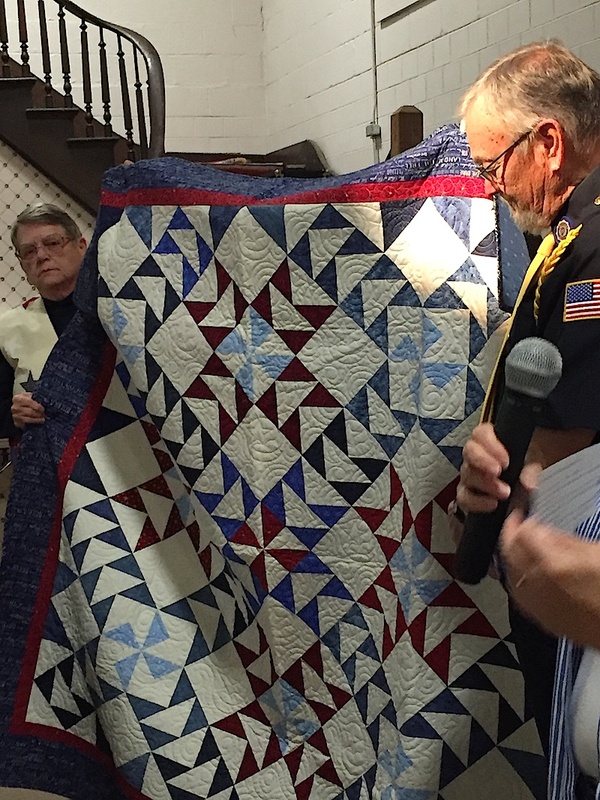 Those receiving quilts were Robert S. Jackson of Woodstock, Huntley resident Jerry Wiecek and Marengoans Dale “Woody” Woodruff and Nicole Dunovsky. 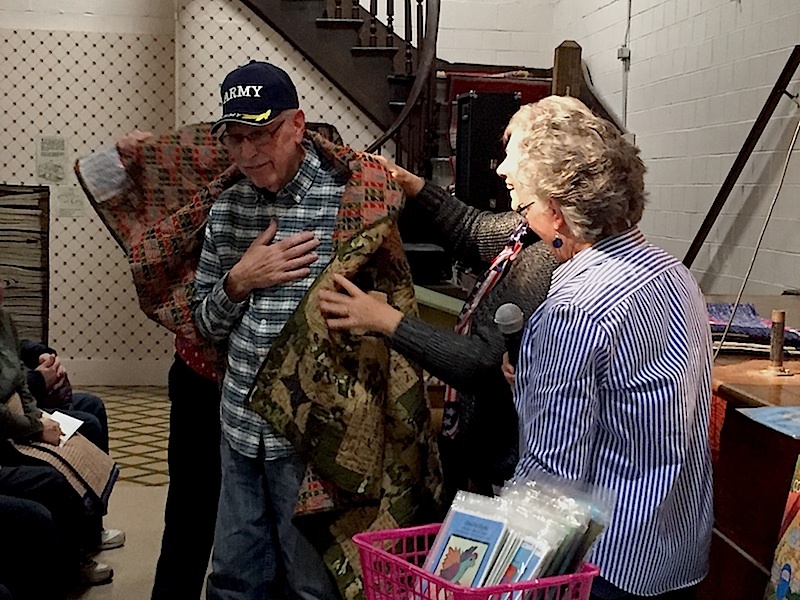 • Jerry Wiecek was stationed in Germany for 14 months following basic training at Camp Jessie Turner in Crawford County, Ark. 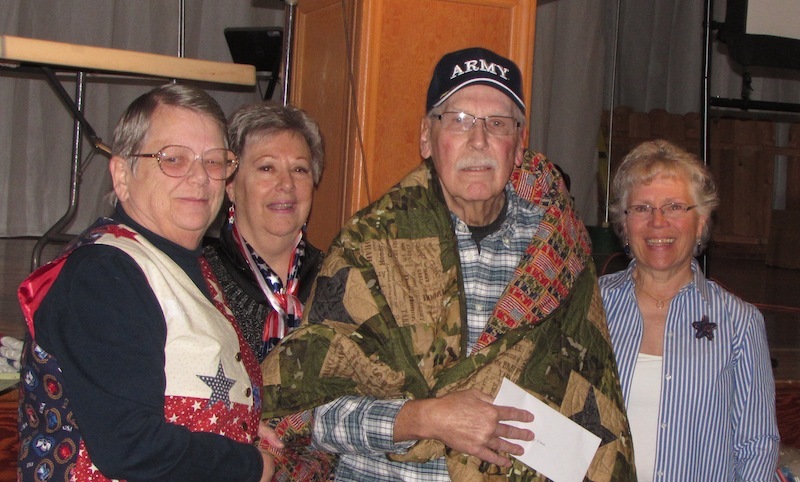 This Huntley resident served from 1954-1957 in the Army’s Third Armor Division, driving an M-48 tank. • Nicole Dunovsky of Marengo served 13 years in the Air Force, from 2002-2015. A graphic designer, she enlisted as a reservist shortly after 9/11. Trained in Milwaukee, Peoria and North Carolina, she had five desert deployments in Kuwait and Qutar. 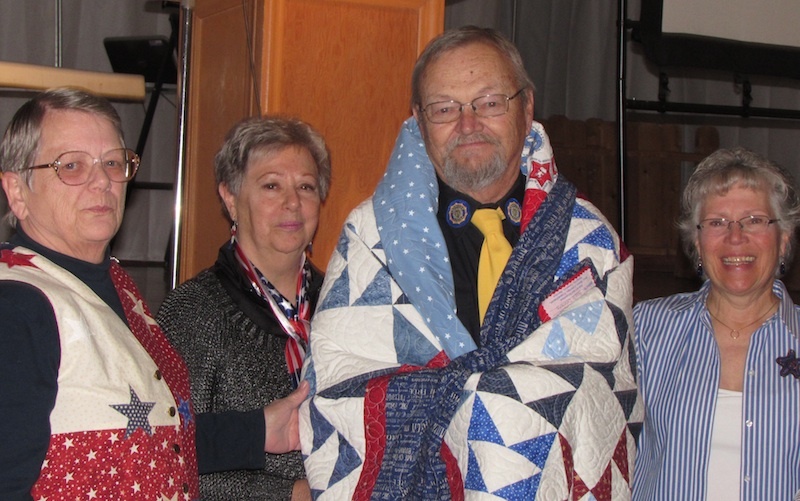 • Dale “Woody” Woodruff of Marengo in a member of the Marengo American Legion Post 192 Honor Guard. He was drafted and served two years (1967-69) in the Army with an attack maintenance helicopter company. He served as a crew chief for the new two-man, Bell Cobra helicopters developed in 1967. Based Hunter Army Air Field in Savannah, Ga.
Woody said he was nearly sent to Vietnam five times and had he remained a year longer, he no doubt would have been shipped over there. Not only were the maintenance crews treated better on foreign soil (in Georgia they worked 12-15 hour days seven days a week), it was cooler. “I couldn’t believe a guy could lay in bed at night and sweat like they had just run a mile,” he said. • Robert S. Jackson, 91, of Woodstock, was born in New York City. He served as an electronics technician and Petty Officer First Class in the Navy during World War II. He served from 1944-1946 in a secret radar unit, under the guise of a radio-training program. He was trained at Wright Junior College and worked in the Chicago area before mustering out at the Great Lakes Naval Station.